Australia is home to almost all of the 10 most venomous species of snakes in the world. But Australian snakes do not pose a serious threat as they are shy creatures that avoid contact. Nevertheless, we are alert for snakes, especially during the warmer months, like now. Unfortunately a fear of snakes discourages some Australians, especially newcomers, from venturing into our beautiful bushland. I talk about the fear of snakes later in this post but first I provide a context, which inappropriate as it may first appear, has to do with our love of living things. 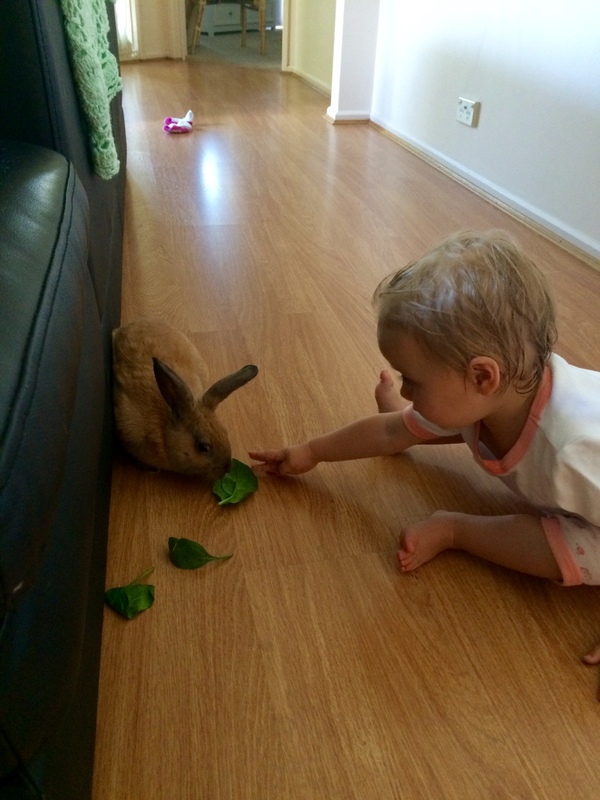 I was greatly entertained this week by a video of Wendy’s granddaughter, Zoe, having “quality time” with her new pet rabbit, Peter. She squatted beside Peter (much as she is doing in the photo), gently patted him and then attempted a “cuddle” and a kiss. Zoe has grown up with dogs in her life and loves animals. This is not at all surprising or unusual because, like all of us, she was born with a brain that has a positive bias towards living things. From as early as four months of age, infants pay more attention to animals than to toys including furry toy animals. And they are equally attentive to snakes – with no sign of fear. Why then do human (and other primate) adults usually have a fear of snakes that is stronger than the fear of almost anything else? It may appear to be a rational or intellect-driven fear because snakes are known to be capable of harming or killing humans. But so too are guns and knives. What’s more, the fear of snakes resides in many people who have little or no contact with them. So what’s going on? An answer that is gaining increasing scientific support is contained in the “snake detection theory” which is based on the idea that evolution has given us brains that are “prepared” to learn very quickly to fear snakes. Researchers at the University of Virginia, Vanessa LoBue and Judy DeLoache, have pioneered the study of the origins of the fear of snakes in children. They report that children are very good “snake detectors”. Shown a set of eight photos – seven depicting caterpillars and one showing a snake – three-year-olds were quick to find the snake photo. By contrast, they took longer to find the caterpillar in a group of snake photos. The same thing happens when the children were asked to distinguish snakes and frogs. Picking out snakes seems to be easier, especially so, according to another of LoBue and DeLoache’s studies, if the snake is moving in its characteristic writhing motion. The posture of the snake may also affect the speed of detection. Using a task that required people to pick out a snake image from an array of flower images, Nobuo Masataka and his colleagues found that both children (aged 3-4 years) and adults were faster identifying snakes if the snakes were shown in an attack position. 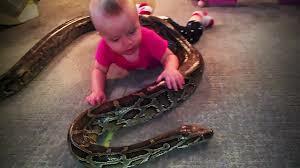 According to their parents, the young children in this study had never been exposed to snakes before. Not only had they never seen a real snake, they’d never seen any images of snakes, or toy snakes. These findings point to the likelihood that humans are hard-wired to be quick at detecting snakes and possibly other potential predators such as crocodiles. Snake detection theory goes a step further, however. It proposes that snakes have played a major role in the evolution of our brains, specifically our incredibly complex and accurate visual systems. Both snakes and primates, including our species, evolved in tropical regions and had plenty of opportunities to interact. Snakes are hard to spot, so if their threat was strong enough, natural selection might have favoured primates with keen eyesight and quick reaction times. The neurological evidence supporting this theory is starting to be uncovered. At the base of the brain, there is a very busy visual relay centre called the pulvinar region. Compared to that in other mammals, this region is disproportionately large in humans and primates. It is thought that the pulvinar is particularly important in picking out important visual information in cluttered environments. To test this idea, researchers inserted probes into the brains of captive-bred Japanese macaques who had never encountered snakes. Activity in the pulvinar region was monitored as the macaques were shown various images – monkeys’ faces, monkeys’ hands, simple geometric shapes, and snakes – under carefully controlled conditions. The pulvinar region was found to be especially attentive to images of snakes. It didn’t matter whether the snakes were coiled up or stretched out; the macaques’ neurons responded similarly to snakes in each position. Since these monkeys had never seen a snake before, the neural responses appear to be hard-wired rather than a result of experience. Another response that appears to be hard-wired into the human brain completes the biological foundation of our fear of snakes. LoBue and DeLoache demonstrated the link in infants in the first year of life. In a landmark study, they presented infants with videos of moving snakes paired with videos of other animals – giraffe, rhinoceros, polar bear, hippopotamus, elephant, and large bird – moving at the same speed. The videos were played under two different conditions – accompanied by either an audio track of an adult sounding fearful or one in which the adult sounded happy. When the happy voice was playing, the infants paid no more attention to the snake than to the other animals, but with the fearful voice, their attention was directed much more on the snake. What LoBue and DeLoache appear to have shown us is that the human brain has evolved to learn more quickly about certain kinds of animals – those that have posed the greatest threats to our ancestors. Maybe it takes very little to trigger fear (and other negative feelings) where snakes (and possibly other threatening creatures) are concerned. We see friends or family acting fearfully and we are persuaded very quickly to adopt the same behaviour. As Martin Seligman proposed over 40 years ago, animals, including us, are “prepared” to learn some lessons very fast. We’re coming to realize that there’s something a lot more complicated and deep and wondrous in the development of the human mind, than what we had imagined. Ours are minds, Wilson adds, that have “a strong residue of the environments in which we evolved”. And those are natural environments. Somewhat like the tracks on a CD that are moulded by an environment of sound, our brains have been richly and subtly attuned to natural environments. And just as a CD requires the right kind of player to perform, the human brain responds optimally to the stimulation of nature. 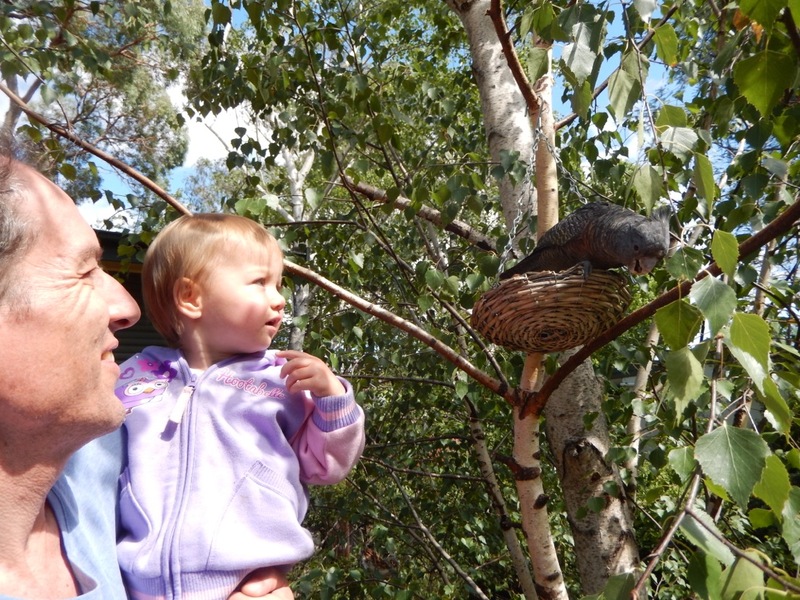 That is why our brains have the strong positive bias towards nature we see in infants like Zoe. The image of Zoe reaching towards Peter captures something of that bias and is a symbol of what our brains would have all of us do – embrace nature and be showered with benefits for doing so. That’s right: it’s “body and soil” not “body and soul” are one (although that may be true as well). This ancient piece of Korean wisdom along with modern scientific discoveries is motivating a remarkable Korean public health initiative – the establishment of healing forest centres throughout the country. Talk about regarding nature as an essential resource for human health and general wellbeing (as I did in my last post)! A better example is hard to imagine. I have more to say about the Korean healing forest centres below, but first I want to reflect on a recent related article in the Sydney Morning Herald. Quite by chance, the article, which also deals with nature as a resource, appeared soon after my last post was published. The article is by Gareth Collins, President of the NSW Chapter of Australian Institute of Landscape Architects and is entitled Sydney’s Beauty Lies in Nature. Sydneysiders could see this as a slightly provocative title, given the world-wide admiration of the Opera House, the Harbour Bridge and indeed the many stretches of attractive urban development around Sydney Harbour itself. As Gareth points out, these areas of natural bushland form an immense green infrastructure that pervades our suburbs, along roads, streets, creek lines and in parks, and makes Sydney one of the greenest cities in the world. This natural beauty, he writes, is a gift to Sydneysiders, which must not be taken for granted. 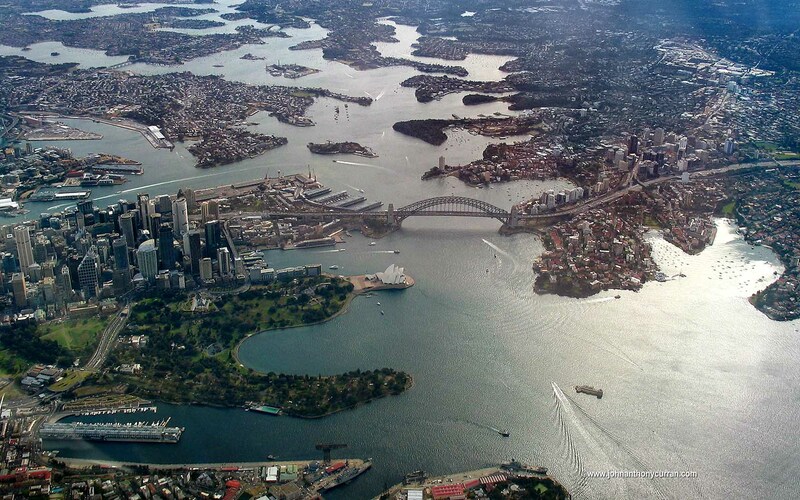 Like many cities around the world, Sydney is short of land to accommodate a very rapidly expanding population. In response, urban density is increasing along with the expansion of suburbs into formerly rural area. This, together with the development of essential infrastructure, poses a great threat to urban greenery, especially so if there is a failure to acknowledge the value of natural spaces as a resource for life. All development needs to contribute to the total urban forest so that shade, clean air and natural beauty are on hand. Projects need to be co-ordinated to ensure high-quality public space is accessible to all. A visual and physical connection to the landscape and water needs to be provided and maintained. [To] create a healthier environment, a happier inhabitant, and a more productive city. The mention of health brings us back to Korea and specifically to Saneum Healing Forest near Seoul. South Korea is like Sydney in a way; it is richly endowed with vast natural areas, forests of towering pine, oak and maple. Saneum is one of 37 state-run recreational forest scattered across the nation. The forests offer citizens easy and enjoyable access to the country’s vast natural resources with cheaper entrance fees than other private or government-owned recreational forests. Saneum is also one of three similar forests where healing centres have been established. These centres offer programs based on strong science that links forest-based activities, especially walking, to a range of health benefits, including reduced stress levels, lower blood pressure and improved concentration. In this respect the programs are very similar to ones provided in Japan under the umbrella of the shinrin-yoku (forest bathing) movement. 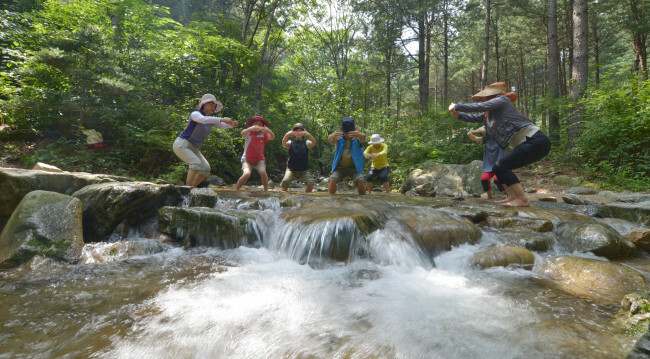 Activities included in the healing programs are meditation, forest yoga, dancing, poetry reading and “gi” (energy) exercising (shown in the photo). So successful have these programs been that the Korean government plans to have 34 healing forest centres in operation by 2017, one close to all major cities. So far this policy, based as it is on the demonstrated value of nature as a public health resource, has increased visits to forest from 9.4 million in 2010 to 12.8 million in 2013. This is an extraordinary increase given that the comparable trend in Australia and other Western countries is in the other direction. I wonder if I will ever see “bush healing centres” in national parks or reserves in or near Sydney and other Australian major cities and towns? The annual report from WordPress (my blog’s webhost) has just turned up in my email. The report tells me how many views my posts attracted during 2015, how many visitors dropped by, the countries they were from, the most viewed posts and so on. The report points out that many of the posts are still being viewed, prompting the suggestion that the topics of these posts might be worth revisiting. Always open to wise suggestions, I have decided to do just that in this post – but with a twist. The most viewed post by a country mile was one I published in 2014, soon after the birth of my great granddaughter, Zoe Margaret. In that post, The World I Would Like for Zoe, I reflect on the world that I hope will be hers – not so much the world in general but more the part nature might play in her life and, indeed, in the lives of everyone. The post was written very much in the “I have a dream” vein, the dream being for a world where Zoe can forge a deep and mutually nurturing friendship with the natural world. I want this for her because, as a human being, this is a relationship she is meant to have and also needs. It is her birthright no less. Needless to say, observing Zoe’s delight in discovering the natural world is a great joy. Recently she found Gang Gang Cockatoos and other native birds very much to her liking. She rapidly learnt to recognize the sound, “gang gang”, and to look for the birds where they usually sit. Zoe is able to discover nature because her family constantly provides her with opportunities to do so, and she is growing up near abundant natural bushland and urban greenery. On both counts she is a very fortunate little girl. The natural world is becoming a resource for her mental, emotional, social and spiritual life. The understanding that nature is an essential resource for human all-round wellbeing is accepted by many but not by all. Indeed there are vested interests, ideologies and mind-sets that find such an idea threatening – even contemptuous. I was reminded of this by an email I received just a day or two ago. 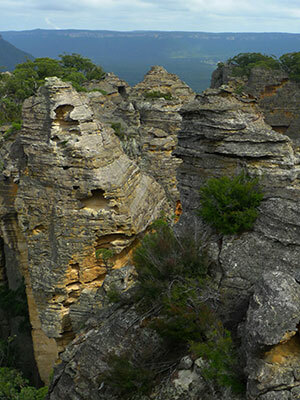 The email was from Michael Keats, one of three bushwalkers who have dedicated themselves to raising awareness of as well as protecting beautiful landscapes and ecosystems close to Sydney. A visit to their website is highly recommended – even to my overseas readers because the site contains many stunning photographs. These photos (from their website) of the Gardens of Stone provide a glimpse of the beauty that Michael and co want to share and preserve for posterity. 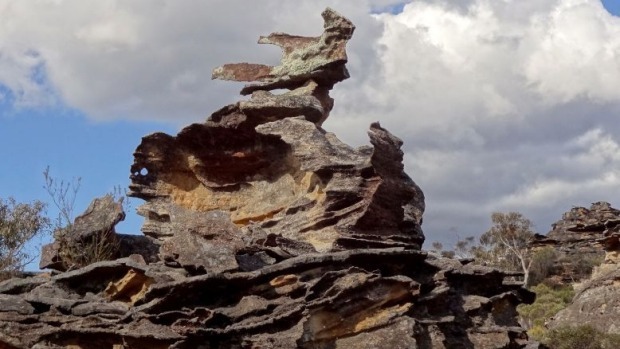 A great concern is that many of these unique formations are being threatened by mining operations that can undermine the structures causing them to collapse. 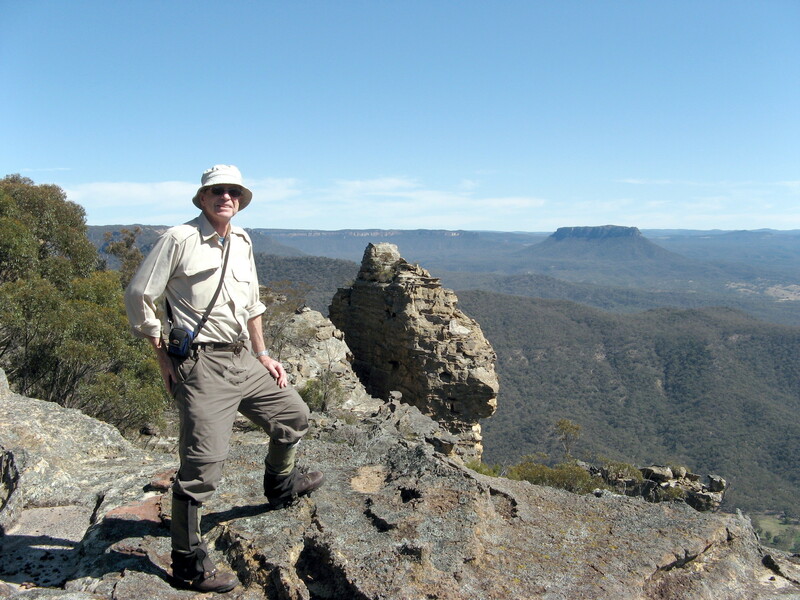 I have authored over a dozen books on bushwalking and made a number of appearances before PAC [Planning Assessment Commission] enquiries to try and prevent the destruction of bushland for Coal Mines. 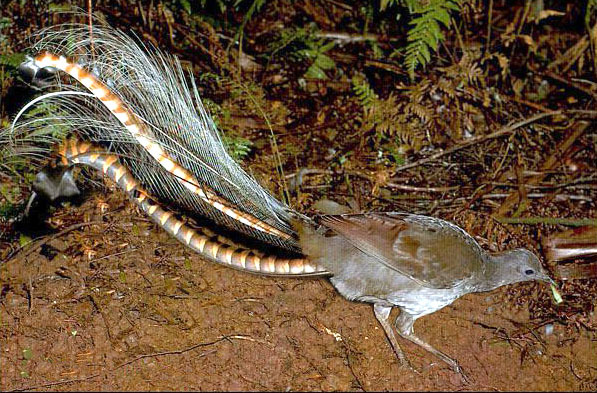 In my submissions and personal appearance I have emphasised the spiritual value of the bush to restore and replenish the human spirit and suggested that resources should be committed to opening up areas such as the Newnes Plateau to bushwalking and discovery rather than mining. Whilst I have not been laughed out of court, sniggers from coal miners and pro coal advocates are common. I walk twice a week and go camping whenever I can. The stimulation to my life from close contact with nature is amazing. While some of the magnificent areas that Michael refers to are in wilderness areas, others are readily accessible. I have been visiting these areas for over 40 years and share Michael’s passion for them. 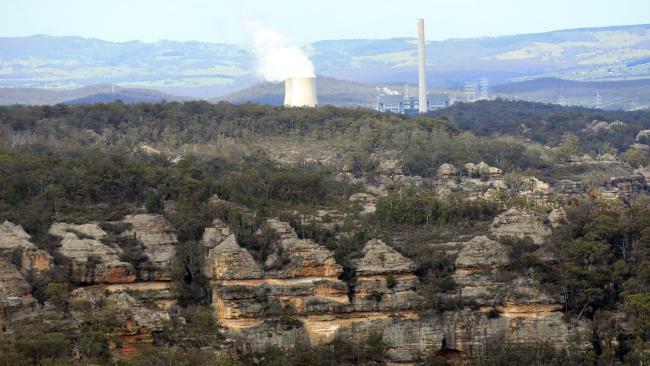 My life would have been the poorer without the Newnes Plateau and the Gardens of Stone. My fervent hope is that Zoe will get to visit such life-enriching places as often as I have. That is why I am immensely grateful for what Michael and his associates are doing. They are true “biophilic crusaders” – people who are fostering both a love of nature (biophilia) and a commitment to the preservation of natural environments. I am writing this on January 1, 2016 – as good a day as any for New Year resolutions. With biophilic crusaders in mind, I resolve to make 2016 a year when I do more to support conservation organisations and “naturalising” projects (projects aimed at transforming urban spaces into pockets of grassland and trees). If this resolution resonates with you, why not join me? Happy New Year, Bonne Année, Manigong Bagong Taon, Heri ya mwaka mpya, Buon anno, あけましておめでとう, Frohes Neues Jahr.